Posted by vneil in ESXi, network, scripts, VMware. When our environment was first setup it was difficult to get all the necessary buy-in from different departments, for example, the network team. This meant doing things like VLAN tagging / trunking was not feasible, we had to provide connections to 4 different virtual machine networks so we had a lot of network connections and did not have redundancy on all. The servers had 8 network connections but to allow for ESXi / vMotion networks and the VM networks, the maintenance networks for the VMs did not get redundancy plus we had to drop one production network which wasn’t required straight away. Later we organised an in-house VMware training (given by the excellent Eric Sloof) and invited a couple of the key guys from the network team who we had been working with. This had the great affect of allowing them to see how VMware handled it’s internal network and gave us all a chance to brainstorm ways of changing the network connections as we had also started getting pressure to provide connections to the mainframe production network we had left out. The result was a much better architecture and reorganisation of how the adapters were used by VMware and incorporatation of 802.1Q VLAN tagging, proving the benefit of spreading the word and getting buy-in from other departments you deal with. Seeing as I had 20 ESXi servers in the cluster to change I created a script to do the definition for me. This wasn’t my own work but cobbled together from scripts from Powershell heroes like Alan Renouf and Luc Dekens. New-VirtualSwitch -VMhost $esxserver -Nic vmnic3,vmnic5 -NumPorts 128 -Name "vSwitch1"
$vSwitch1= Get-VirtualSwitch -vmhost $esxserver -Name "vSwitch1"
New-VirtualSwitch -VMhost $esxserver -Nic vmnic0,vmnic2 -NumPorts 128 -Name "vSwitch2"
$vSwitch1= Get-VirtualSwitch -vmhost $esxserver -Name "vSwitch2"
Posted by vneil in ESXi, upgrade, VMware. We’ve recently gone through the process of upgrading our complete VMware infrastucture to vSphere and this is a short summary of how the process went. We needed to upgrade 2 vCenter Servers, 2 Update Managers and 30 ESXi hosts servers not including any test clusters. We had been running vSphere4 on our test servers for a while and didn’t come across any problems so planned to upgrade our production environment. Luckily vSphere 4.0 Update 1 come out shortly before we were to deploy in production so after testing this on the test servers we were able to go straight to Update 1 for our production servers. This was mostly planned with the upgrade guide PDF and on the whole it went very well, there were a few things which I would probably add to this plan if I were to do it again. This went very smoothly and we didn’t come across any big problems. The only issue was with the added roles and permissions for the datastores and networks, which meant that our Windows and Linux admins couldn’t provision new disks or add networks to VMs. This was quickly resolved by clone and adding the new roles of Datastore consumer and Network consumer for each of the VM admin groups to the folders of the respective datastores and networks which were created as part of the upgrade. This is documented in the PDF (which I must have missed) on page 65. I really like this new feature of permissions for datastores, it means we can have much better control with giving different datastores to different VM admins. Since upgrading all the hosts we have started to see various strange hardware error alarms being displayed in vCenter. The errors are things like “Host Battery Status : I2C errors” or “System Memory” errors on no particular hardware device. Upon looking into it I thought this might have something to do with the updated CIM implementation and realised that we had loaded the standard ESXi4.0 U1 ISO image from the VMware site into VUM, maybe we should have used an IBM specific image as all our servers are the same xSeries models from IBM and came with ESXi installed on internal USB sticks. The errors we see, come and go on different servers which means it’s difficult to see if there are any real problems. I opened a service call with IBM (who provide our VMware support) to ask if there was a customised version of ESXi for xSeries servers or if there were any known problems with ESXi4 on IBM hardware. 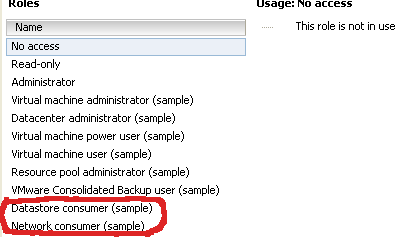 After quite a bit of internal communication within IBM it seems there is an “IBM recovery CD” for ESXi but it doesn’t seem to come with any customisation apart from a message somewhere saying to report problems to IBM support rather than VMware support. Now I am waiting for the CD to be sent just to see if it makes any difference while I also have open service calls with IBM for the individual problems we see. It seems the problem is to do with a “handshake problem between VMware and the IPMI” according to the service call and they are working on fixing the issue but it basically means we are stuck with these false alarms. 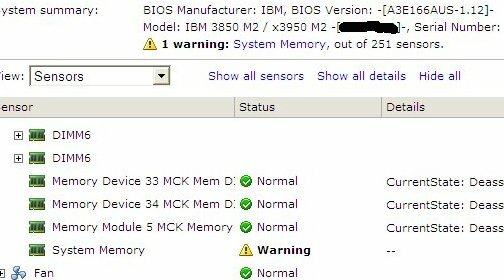 As ESXi does not have the Service Console it is harder to do things like upgrading the BIOS or changing settings on FC adapters. For this I setup our SLES Autoyast server to network boot the SLES Rescue image on the ESXi server. This allowed me to NFS mount a share with Linux versions of the BIOS update, Broadcom adapters firmware and the scli program to updated the Qlogic cards and check their settings. Posted by vneil in ESXi, logging, VMware. After listening to the VMware Communities Roundtable podcast of last week I thought I would create a short post on ESXi logging. It was episode #83 which focused on ESXi and was very interesting, it was geared towards administrators who are familiar with ESX and the pros and cons of moving to ESXi. One thing that was mentioned by the main guest VMware’s Charu, which I haven’t tried before, was to setup persistent logging for an ESXi host. As he mentioned, although there is logging in ESXi which gets stored in the /var/log/ directory it is all in memory so if the host crashes, all logs are lost. While I already had the remote syslog setup it seems this local logging is a different log file. On one of our test servers I went into Configuration->Advanced Settings (Software) -> Syslog -> Local and entered a directory and filename on a VMFS datastore and it started logging immediately to the specified file. I then tried to see if it was a copy of a log that was already being created somewhere on the host and while it looks similar to the /var/log/vmware/hostd.log file it seems to be more verbose. These are available via the browser interface (http://hostname/host). The messages file is what is sent via to the remote syslog if configured. There are also logs in /var/log/vmware/aam/that relate to the HA agent on the host and if there problems with a host enabling the agent it is sometimes fruitful to look in here at the latest files. I would say that setting up both local persistent and remote syslog logging as a very good recommendation in configuring ESXi hosts especially in a production environment. 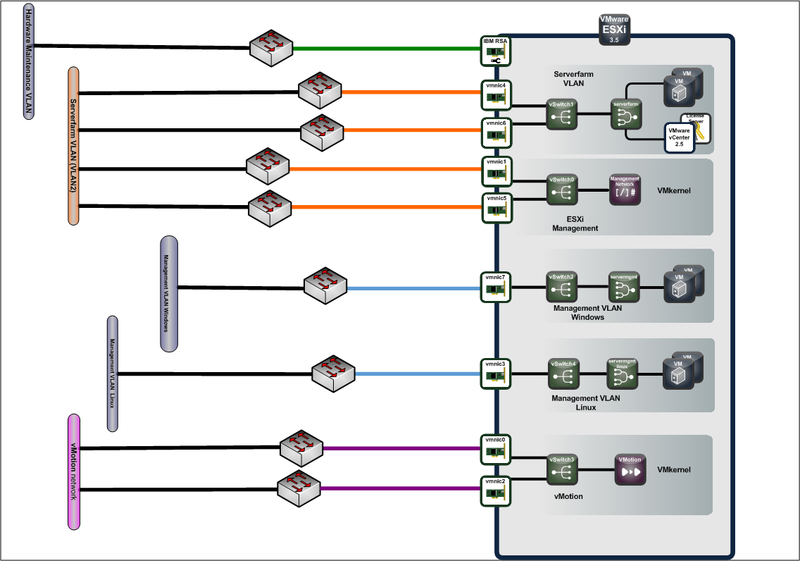 Posted by vneil in Virtualisation, VMware. There has been a good amount of coverage from the VMware Partner Exchange in Las Vegas last week but one bit of news that caught my attention was the mention of DRS for IO. The only blog post I saw it mentioned was in this post by Duncan Epping. After a quick google I found this great post by Ian Koenig over on his blog from last September. It looks like if it was mentioned at PEX it might be coming soon, I had kind of hoped it might have been in vSphere as the next logical extension of DRS after CPU and Memory resource scheduling. The way we run our current cluster is one big cluster with test and production VMs spread across all the host servers with their VMDKs also mixed on datastores. They are distributed into appropriate resource groups and all this helps to even the workload and make full use of all resources. The cluster is not heavily burdened at the moment and we are continuing to P2V Windows servers and deploy new Linux servers onto it. I see IO DRS as an extremely helpful tool with the growth of the number of VMs in the cluster to keep the necessary prioritising of production over testing. In the meantime I’ll keep an eye out for any more news on IO DRS. Posted by vneil in ESXi, scripts, VMware. Quite a while ago, when I was setting up our current production environment, I had to think about how to set up the multipathing for the SAN LUNs. We have an FC SAN fabric connected to a couple of HDS storage systems and each of our ESXi host servers has 2 dual port FC HBAs. All LUNs would be visible on all four HBAs so each LUN ends up with 4 paths. To make this simple when setting up the cluster we went for a standard 500GB size for the LUNs and had about 8 LUNs allocated to start with. We needed to somehow level the usage of these LUNs across the 4 paths. 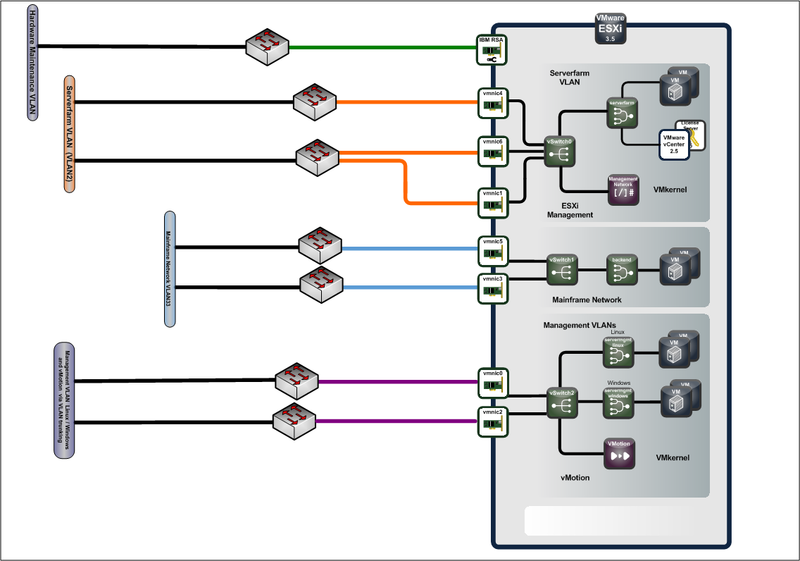 These servers were running ESXi 3.5 and the round robin path policy was still experimental this left a decision of either Fixed or Most Recently Used (MRU) as the multipath policy to use. After some investigation I chose to use Fixed multipath as with MRU you could possibly end up with all LUNs on one path if several path failures go unnoticed. To simplify the spreading of LUNs over the multiple paths the LUNs were each allocated a path in order, for example LUN 1 to path 1 , LUN 2 to path 2 ..etc and then LUN 5 would go to path 1 again. Then of course this needed to be set on 20 ESXi servers in the cluster and if any new LUNs were added this would have to be set as well. Nowadays I would maybe look at doing this with Powershell but back then I was still quite new to it and as I was more comfortable in Unix I used the Vima appliance and setup a simple shell script and the vicfg-mpath command to do the work for me. # Set VI_USERNAME and VI_PASSWORD environment variables before running. esxhosts="esxhost1 esxhost2 esxhost3 esxhost4 esxhost5 esxhost6 esxhost7 esxhost8"
echo "===================== Start `date` =========================="
echo "Error getting luns/paths for $esxhost"
echo "Setting preferred paths for $esxhost "